A book-format interview with the most famous Czech documentary film-maker spanning the years 2014-2016. 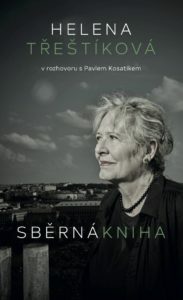 Helena Třeštíková gained fame primarily for her longitudinal documentary studies. The most famous of them, ‘Spousal Etudes’, the third series of which is just being finished, was begun by the director in the early 1980s, and in addition to the fates of each of the participants her depictions chart far more: they have grown to a historical enveloping of society as a whole. In this biographically inclined interview the director talks about her life, the origins of her most renowned and most talked-about films, such as René, and Marcela & Katka, but she also considers the deeper context of documentary film and culture in general.